Spotted Cute Doll.Turn it upside down . Look for the message and viola X'tra Cute thingy for yourcollection. Something Like a message in the bottle but replaced with a doll around the size of your palm of your hand . Taking the cue from KLue both September and October issue. I just might find a suitable Christmas present. 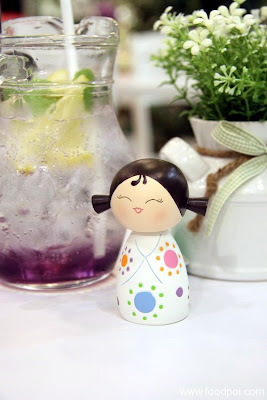 This lovely hand painted cute collection of message-bearing friendship dolls from the Land of the Rising Sun. 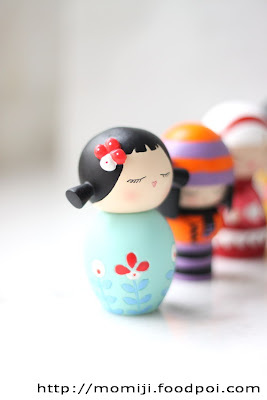 Momiji dolls were hand-painted beauties are set to take over the desks of designer doll fans everywhere. Me included. 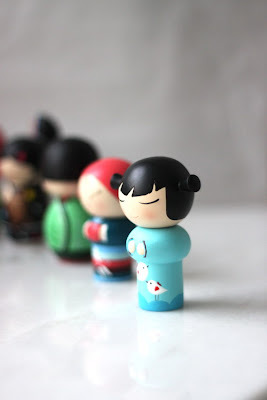 Cuz i can stuff my personalize message inside the Momiji dolls like "U got C4 today! Cheers XD". For example only.Priced around RM 49.90 or U can take part under Klue Steal and Deal Contest and maybe win one for yourself or your friend!